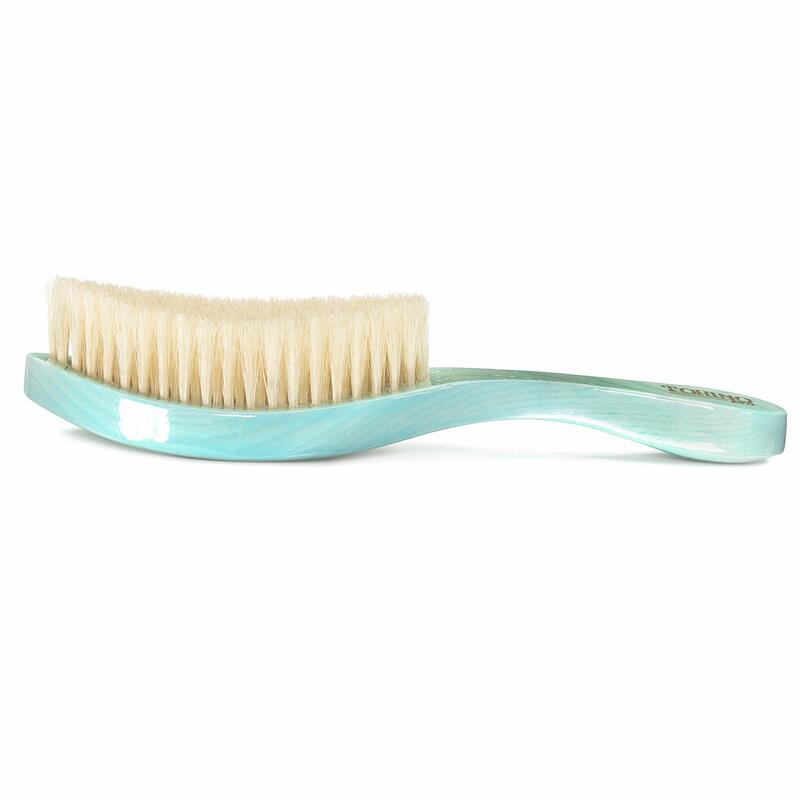 TORINO PRO #1950 – This 360 wave curved brush is a soft with extra long bristles and it has great pull for a soft brush. 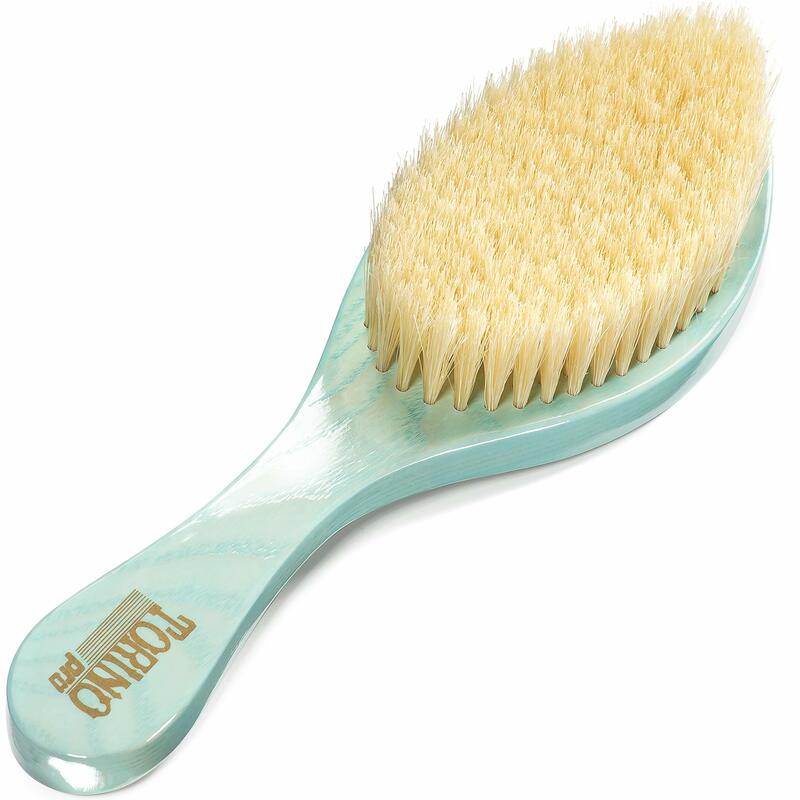 The TP1950 has a wavy blue color; the distinct look of this brush is one of the many reasons to buy it right away but also the lay and shine it gives to your waves is amazing. This brush is comparable to the TP590. Every brush Brush King made in this lineup is different; there are various SOFT curves and the firmness (from softest to firmest) goes as follows: TP1950; TP460; TP640; TP1700 (which is the firmest of all the soft curves). Brush King does NOT recommend shower brushing with this brush and Torino Pro wave brushes are NOT for wash and styles either. Every Torino Pro Wave Brush by Brush King brings a Hair Brush Maintenance Card inside the box that tells you how to take care of the brush to make it last. Please follow all of the instructions provided. Made with 100% boar bristles.